Credit: Aalto University/Petja Hyttinen & Olli Hanhirova, ARKH Architects. Perhaps the strangest prediction of quantum theory is entanglement, a phenomenon whereby two distant objects become intertwined in a manner that defies both classical physics and a "common-sense" understanding of reality. In 1935, Albert Einstein expressed his concern over this concept, referring to it as "spooky action at a distance". Nowadays, entanglement is considered a cornerstone of quantum mechanics, and it is the key resource for a host of potentially transformative quantum technologies. Entanglement is, however, extremely fragile, and it has previously been observed only in microscopic systems such as light or atoms, and recently in superconducting electric circuits. The researchers managed to bring the motions of two individual vibrating drumheads – fabricated from metallic aluminium on a silicon chip – into an entangled quantum state. The objects in the experiment are truly massive and macroscopic compared to the atomic scale: the circular drumheads have a diametre similar to the width of a thin human hair. The team also included scientists from the University of New South Wales Canberra in Australia, the University of Chicago, and the University of Jyväskylä in Finland. The approach taken in the experiment was based on a theoretical innovation developed by Dr. Matt Woolley at UNSW and Prof. Aashish Clerk, now at the University of Chicago. 'The vibrating bodies are made to interact via a superconducting microwave circuit. The electromagnetic fields in the circuit are used to absorb all thermal disturbances and to leave behind only the quantum mechanical vibrations,' says Mika Sillanpää, describing the experimental setup. Eliminating all forms of noise is crucial for the experiments, which is why they have to be conducted at extremely low temperatures near absolute zero, at -273 °C. Remarkably, the experimental approach allows the unusual state of entanglement to persist for long periods of time, in this case up to half an hour. 'These measurements are challenging but extremely fascinating. In the future, we will attempt to teleport the mechanical vibrations. In quantum teleportation, properties of physical bodies can be transmitted across arbitrary distances using the channel of "spooky action at a distance",' explains Dr. Caspar Ockeloen-Korppi, the lead author on the work, who also performed the measurements. The results demonstrate that it is now possible to have control over large mechanical objects in which exotic quantum states can be generated and stabilized. 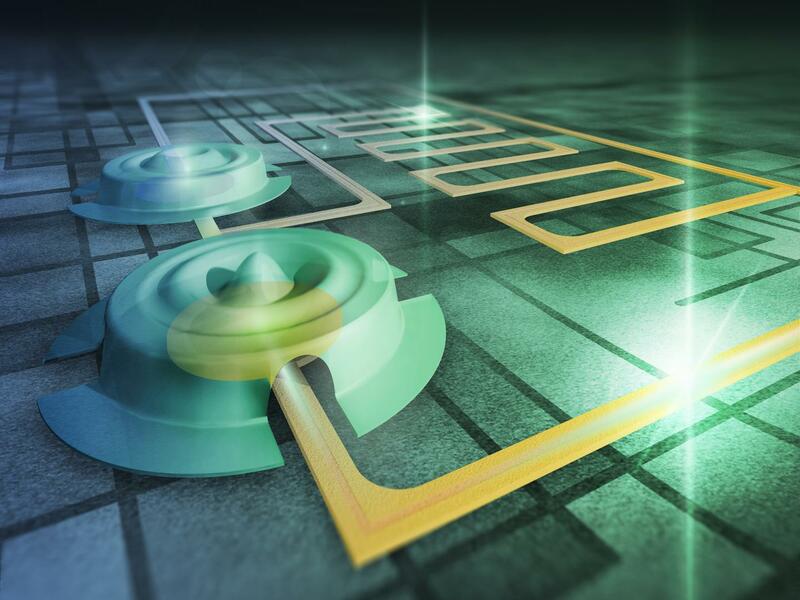 Not only does this achievement open doors for new kinds of quantum technologies and sensors, it can also enable studies of fundamental physics in, for example, the poorly understood interplay of gravity and quantum mechanics. The experimental research was carried out at the OtaNano national research infrastructure for micro- and nanotechnologies in Finland, and was funded also by the European Research Council, the European Union's Horizon 2020 research and innovation programme, and by the Academy of Finland. quantum theory is entanglement, a phenomenon whereby two distant objects become intertwined in a manner that defies both classical physics and a "common-sense" understanding of reality. In 1935, Albert Einstein expressed his concern over this concept, referring to it as "spooky action at a distance".